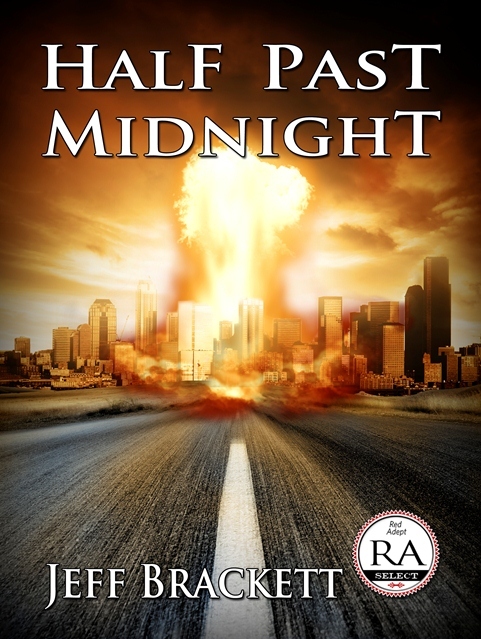 “Half Past Midnight” Has Launched! That’s right, the Smashwords account is created, the KDP account is created, and the CreateSpace account is done. I got the confirmation at 12:12 AM that HPM is successfully published in the Kindle Store on Amazon. At 6:58 AM I received notification that someone actually purchased a copy from Smashwords (and if it was one of you reading this, let me extend my most sincere thanks). Additionally, I find on Amazon that I’ve sold one copy there as well. Some other things that have been going on in the background… if you look at the cover, you’ll notice there is a badge in the lower right corner. 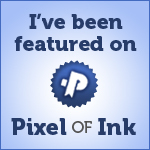 That is a “Red Adept Select” badge – something I’m pretty proud of. And yes, that’s one of the secrets I’ve had to keep my mouth shut about for a few weeks now. As a matter of fact, I’m actually writing this post the day before I can actually release it. By the time anyone sees this, the first promotion will have been released, and it will no longer be a secret. Red Adept Publishing has chosen Half Past Midnight as one of their Red Adept Select books. As I said in my previous post, this process has been a veritable roller coaster ride, and there have been a lot of lessons learned. There are things I will most definitely do again on my next one, and there are things I will most definitely NOT do. It’s been a great learning experience – though at times the lessons learned have been similar to some I learned in my martial arts training. Hey Jeff. First, let me tell you how proud I am and how excited to see you published. Then, give me a moment to scream and yell about how jealous I am!!!! I just found out about your book being finished and available for purchase, and I immediately ordered a copy on my kindle. Can’t wait to read it. I know it will be outstanding. I look forward to seeing your first book in the Kindle “Top One Hundred”….and the next one…and the next one…and the next one. Don’t be surprised if I call for some pointers if I ever get back on track. On a sad note, I am not sure if you know that I lost my son, Russell, in June. I have trouble keeping my thoughts clear right now, but I want so much to get back to writing for him. I know he would be so proud if I were to publish. Hi Linda. Yeah, the last year’s been quite a ride. I thought writing the novel was the hard part. Now I find that the promotion seems to take almost as much time, and once again, I’m floundering without any real idea of what I’m doing. Luckily, I have an editor who is amazingly helpful and goes way above and beyond the call of duty. She’s been a great guide through this new wilderness. As for Russell, I heard, though not until a few months afterward. I’m so sorry for your loss, and I know what you mean about the experience making you want to get back into writing. It reminds me of a discussion I had with Barbara “BK” Reeves. I had the pleasure of getting to know her several years ago. She had a story she told about how writers use their life experiences in their work – of how her husband passed away, and at the funeral she found her thoughts torn between mourning, and wanting to recall how she felt so that she could use those feelings in later writing. I think writers are like that. We use our craft to chronicle our feelings and share them with others, so your desire to get back to it is natural. You’re a writer. It’s written into your psyche. As for pointers, I’ll be happy to share my experiences so far, though I’m definitely no expert. And if you’ve already gotten the book, take a look at the acknowledgements page. You’re in there. I’m about one-third through and love it! I was so honored to see my name in print! That was so sweet of you and meant so much to me. I’ll get back to you when I finish. Already anxious to read the next book!!! !